Travel risk for the many challenges that this world presents are not new. Recent and old ongoing news reports outline the threats and dangers of international crime and terrorism. Are the threats real? You can address that question yourself. The news reports the many tragic incidents year after year, or the many that are prevented. We receive Travel Advisories as often as they are deemed appropriate. But do we…or I should say, Do You, pay attention? I reviewed my documents. They included my primary identification, in my case my state of residence Drivers License. My Passport. In the case of my government sponsored travel that would be the official Passport that they issued to me. In both document cases, my focus was on, were they current. For many locations, your passport must be so current that it will not expire near or during your travel. As for the Drivers License, many are now required to be “Official” and government approved. Next, of course, would be my ticketing. 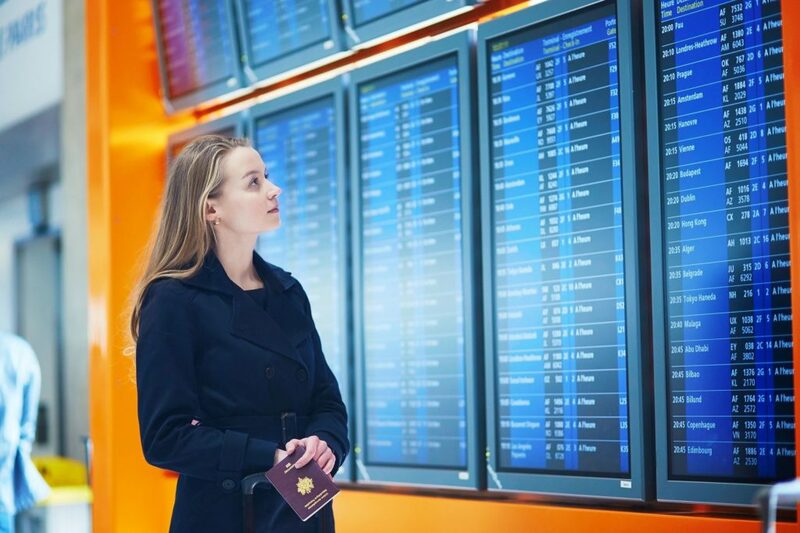 Ensuring the Airline, the dates and times of travel, the locations of the airports, etc. Also, my seat selection, window or aisle. I almost exclusively choose an aisle seat for quick and unobstructed access to the bathroom closet (hard to describe those spaces as rooms!). I also considered the location of my seat with respect to the location in the plane. I preferred over the wing and near the Emergency Exit Door. Was I capable and prepared to manage access to that exit…oh yeah, absolutely! Map it out! Before an overseas trip I ever took, I began with an extensive map study. I used any and every source of map and demographic data I could find. My goal was to lessen the impact of arriving at a place I did not know how to get around in. In my work we have the “Ronin” movie concept as a life concept, “never go in a place (or go to a place) that I don’t know how to get out!” This was not an exact quote, I had to modify it to make it work in the text, of course. But the idea is true. You will feel much more comfortable, and perhaps be much safer if you at least have a general idea of the town, city, country you are visiting. Begin with knowing the key visible location markers. Tall buildings, mountain ranges, rivers, ocean location, whatever that area offers that can help orient you to where you are. When you go into a location, get an idea of the lay of the land (room, stadium layout, hotel exits, restaurant exits, windows, doors, and exits. In an emergency, this will be to your benefit. Travel Insurance…do you need it? Many, maybe most, do not choose to get such insurance. Should you? Your call! For international travel, most experts recommend that you do get insurance. So do I. There are, again, several issues of concern from baggage loss, sickness, and injury, to emergency transportation and costs. And then the ground transportation. In most cases, you can simply walk out, grab a taxi or bus, get on ensuring you have all your stuff and that you are on the correct vehicle, and go. But some locations around the world present complications. Some, even many locations, have criminal or at least suspicious persons lingering around the arrival area for nefarious or concerning reasons. There are so-called “bandit,” unofficial/licensed taxis. The list of threats involved in taking a bandit cab is too numerous to list now. Just don’t risk it! Remain Over Night. In government protection circles the term is generally shortened to “RON.” Obviously, it refers to your one night or continuing nights of stay at a location. Hotel, Air-B&B, or any of the other bed offerings you can find. And obviously, the reference is different if your stay is longer…find your own acronyms, please! Your phone/local phones. Consider the issue of international phones, both from a standpoint of security and of course, costs. Look into the options of local SIM cards and so-called Burner phones. Having your own cell phone and your own computer, with our personal and business information inside, is just asking for the bad guys to seek you out and take your data or device. Just don’t make it available to them. Your physical presentation. Consider how you look, how you present yourself in the new environment. Looking like the tourist waiting to be victimized is just not smart. Looking lost and confused, not good. Looking home patriotic, not smart. Pride is great, but don’t ask for trouble. In my overseas work it was always important to not attract attention, and best yet, look like them if you can. Being invisible when you need to be, good. All that said, go have fun. Enjoy and go everywhere. There is a beautiful thing you have not yet seen out there. There is an amazing place you need to be at. There is a moment that may never be available again, capture it.